E. coli bacteria produce a toxin protein to defend themselves and kill off other bacteria, according to new research published in the journal Nucleic Acids Research. There have been many E. coli bacteria outbreaks in the United States in the past several years, including the deadly outbreak linked to I.M. Healthy SoyNut Butter earlier this year and the current outbreak at Damsy Restaurant in Rochester, Minnesota. And last year, researchers discovered a strain of E. coli bacteria that had the mcr-1 gene for colistin resistance. This is bad news because that change gives the pathogenic bacteria “near pan-resistance to last-resort antibiotics,” according to the study summary. Scientists study this bacteria to see how it manages to survive even in inhospitable conditions. These studies may lead to new ways to treat E. coli infections. 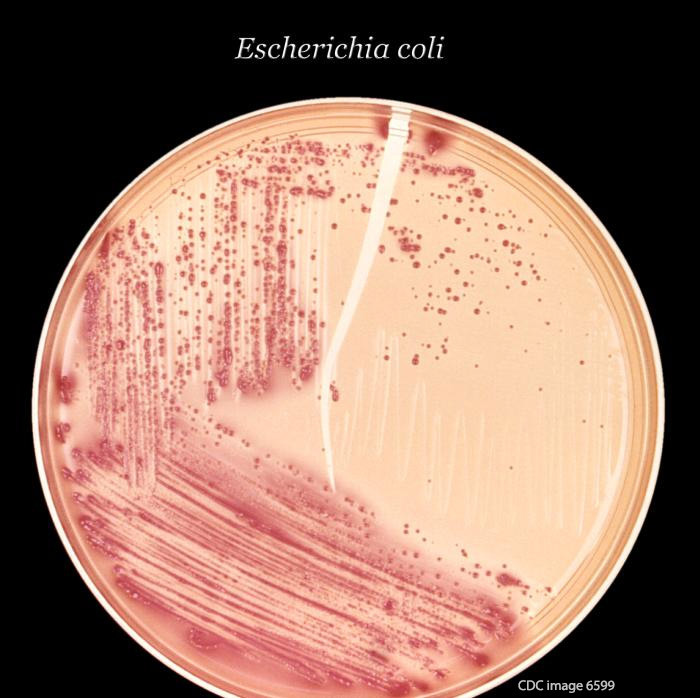 E. coli bacteria have many survival techniques, including the ability to quickly repair damage to its DNA. The toxin protein is “contact-dependent growth inhibition (CDI) toxin. It is used by the NC101 strain of E. coli bacteria for intercellular competition. While researchers have known for years that bacteria conduct wars by producing antibiotics to fight off other bacteria, they don’t know whether the E. coli toxin is supposed to control or kill neighbors or simply compete with and communicate with other bacteria. The scientists are hoping to find new ways to kill these pathogenic bacteria, especially since many are becoming antibiotic resistant. And there are not many new antibiotics being developed to solve this problem.